for Rebirth & Starting Fresh. 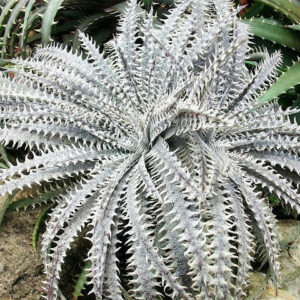 Dyckia ( die-key-ah ) are a thorny group of plants that grow in clusters, low to the ground with long thin flower spikes. All species are terrestrial and typically grow in dry, rocky ground in arid environments. The genus is named after the Prussian botanist, botanical artist and horticulturist The Prince and Earl of Salm Reifferscheid-Dyck (1773-1861). Botanical Archetype – EVOLUTION ( of the Ego ), Rebirth into a Higher Awareness. Root Issue – IMPLOSION of the Ego ( due to Upholding Too Many Illusions ). Catharsis, healing crisis or mid-life because of the limitations of the current identity. Deep imbalances brought on by a paradigm shift in consciousness and the move to a more stable truth. Ego crash. Unable to live your life because the old world view has been outdated. Primary Emotion / Emotional Symptom – CATHARSIS / CRISIS. + Update, Paradigm Shift, New World View, ‘Reboot the Computer’, Rebirth. – Dark-Night-of-the-Soul, Catharsis, Healing Crisis, Midlife Crisis, Crisis, Burnt Out, Break Down, Ego Crash. 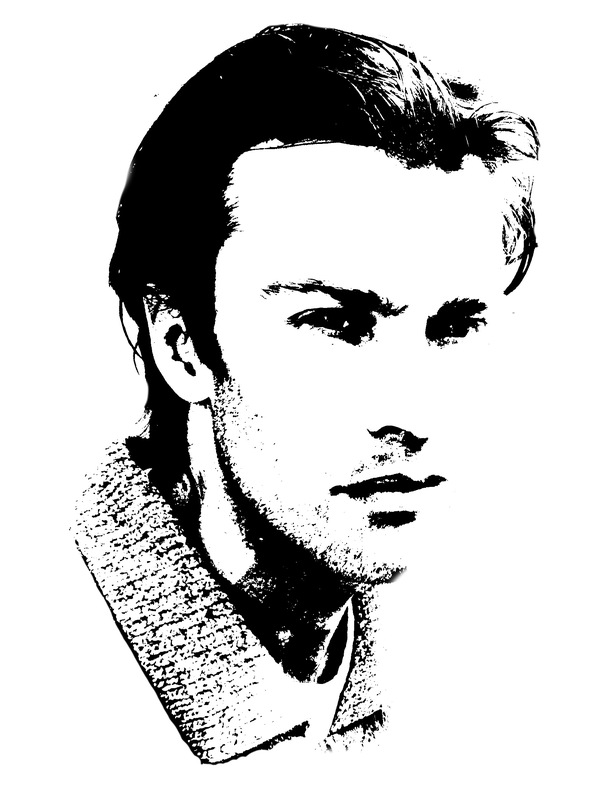 Lesson – The mind, when passive, becomes aligned with the current experience of life. 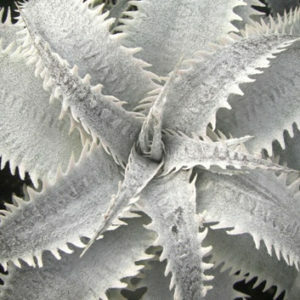 Dyckia are the ’emergency flowers’ to use when a healing crisis strikes. 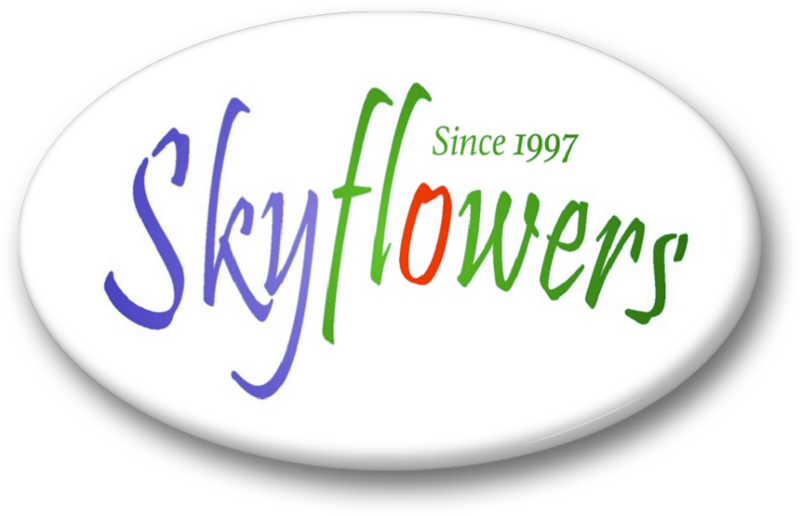 They are considered ‘surgical’ flowers. 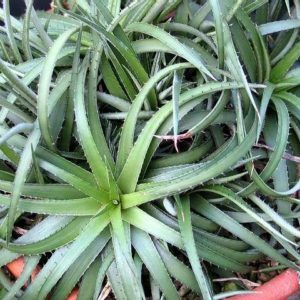 Dyckia help to ‘reboot the computer’ and remove old, outdated or primitive thoughts from consciousness so that a new thought pattern can take hold. 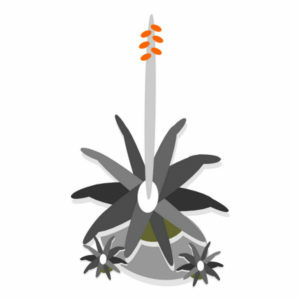 This is the botanical symbol for genus Dyckia. 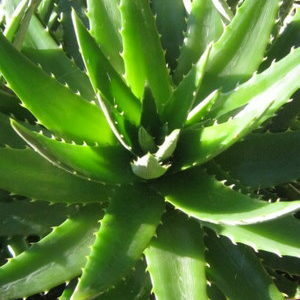 It is found in all of our books, clinical manuals, flower notes and charts.